How many times have you been in a situation when you were just too slow to act? After the even occurred, do you then go through your mind what you should have said and what you should have done? What about staying quiet when you should have spoken up? There is little doubt in my mind that things are changing. Throughout the news we can see the attacks intensify against those who believe in the Gospels. Archbishop Cordileone is at the front and center controversy in his diocese because he is asking that people who work in Catholic Schools actually adhere to Catholic Teaching. There have wealthy dissident Catholics that have started a petition to Pope Francis to have him removed. All because he believes in orthodox Catholic teaching, he is pro-life, and pro-family values. A family business in Indiana, Memories Pizza, is now closed because they said they would not cater to a homosexual wedding. They didn’t say they wouldn’t serve homosexuals, but they clearly stated that they would not take part in a homosexual wedding. Individuals such as Ryan T. Anderson, are shunned into moral exile just for voicing his beliefs which are contrary to mainstream America. 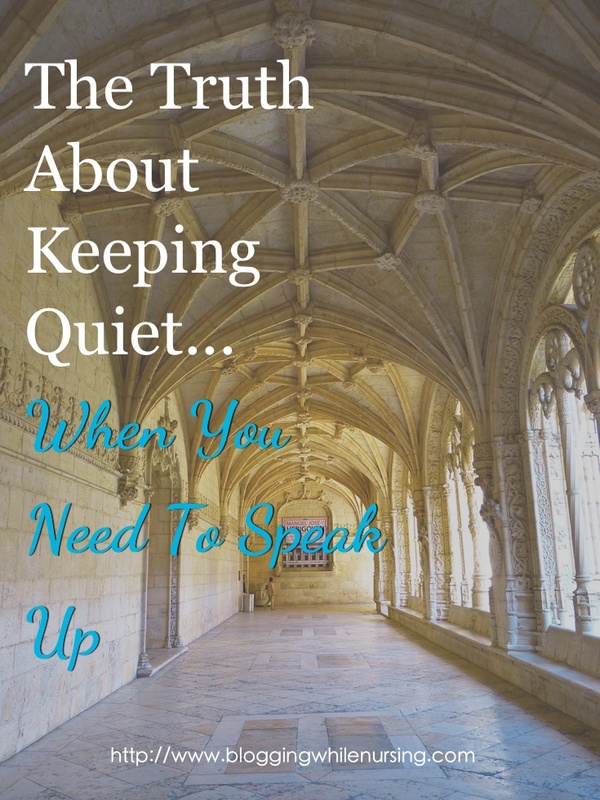 There are serious repercussions for speaking out for the truth. To stand on your faith–your rock, and watch those with stones try to knock you down. It’s could be downright scary, but we were not called by our Baptism to go with the flow. Persecution of Christians around the world is real, and it is happening in our own backyards as well. When we choose to stay quiet, and not speak out about the injustice that is happening around us, the opposition becomes louder and more obscene. Those who are raising their voice with faith and reason are marginalized and suffering financial loss, or experiencing defamation of character. We cannot allow a few to stand at the front of the battle doing the hard work, while we wait for someone else to do it. This reminds me of a quote by Martin Neimöller. 1) Offer support. There is petitions that is online that support the ArchBishop Cordileone and his fight. Spread the message that you support the great and difficult work that he is doing. You can find that petition here. 2) Evangelize your family and loved ones. When no one actively seek the truth, they start making up the truth for themselves. Truth to them becomes relative. Share with those who you love about what the Gospel teaches, small steps at a time. Live the Gospels, and don’t be afraid to speak up when you see behavior. 3) Pray for Priests and Bishops. When a man becomes a Priest, they understand that they are signing their death warrant. It’s gloomy to say, but they understand that they will be called to one day die for their faith. These men have an enormous task on their shoulders. We should offer our prayers for them to stay true to the faith that represent and believe. 4) Pray for fortitude that we will be able to speak the truth and not be ashamed to do so. The truth about silence is that when you know something’s wrong, and you don’t say anything, you become complicit in the problem. Now, what you do today to start speaking up? What little changes can you make? 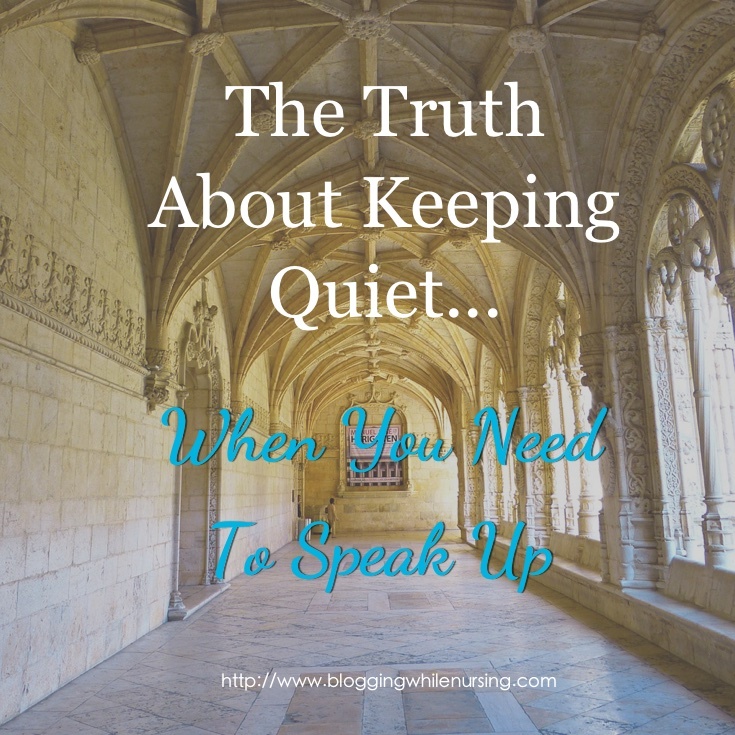 4 Comments on "The Truth About Keeping Quiet When You Need To Speak Up"
So true about the current events. This is such a lovely read and I am always praying for peace. Thank you Melinda. I too pray for peace. I hope that will we achieve it. “We cannot allow a few to stand at the front of the battle doing the hard work, while we wait for someone else to do it.”– I tell myself this often, and yet am guilty of doing it just as often. Thank you for this reminder, Kalley!